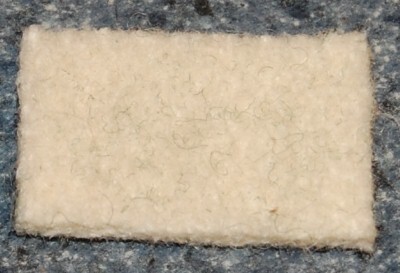 Felt pad for Hammond organ 25-note bass pedal assemblies. Used to prevent noise from the bass pedal striking the guide pin during up and down strokes. There are 50 of these on a 25-note pedalboard, two per pedal. 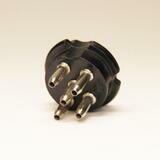 These usually wear as they slide up and down the guide pin, first with a groove, then by splitting in two. Secured in place by staples. Order 10 or more and receive a 10% discount on this item.